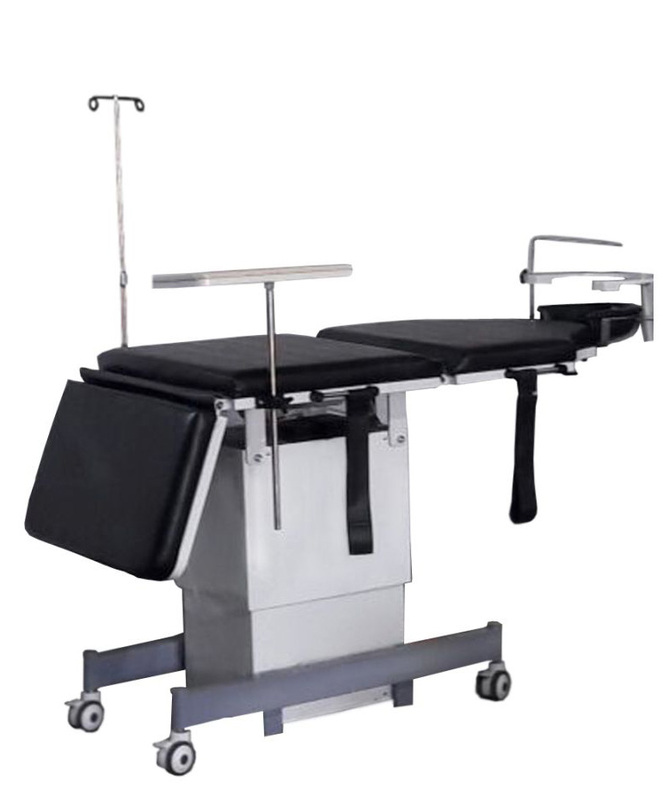 Mobile recliner-chair for operation, treatment and transportation, as per ophthalmologist's needs, the patient can be efficiently prepared for the operation, operated on and offered post operative care, easy to move as has castors; multi adjustable head rest can be tilted independently, enabling the patient's head to be kept in a convenient position, ample legroom for the surgeon. 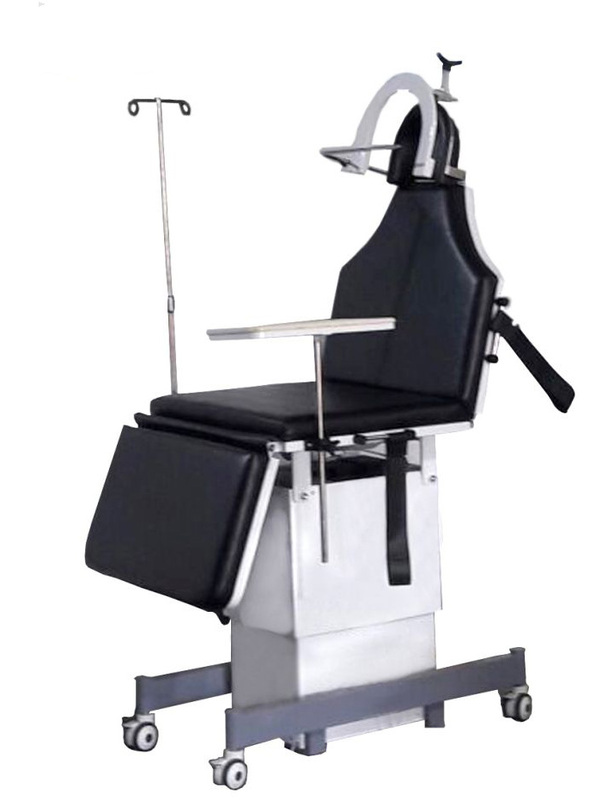 Height adjustment control by foot or hand controlled for all movements. On Foot (standard) On Hand Panel (optional). One motor which controls the leg rest & back rest movement in one go. 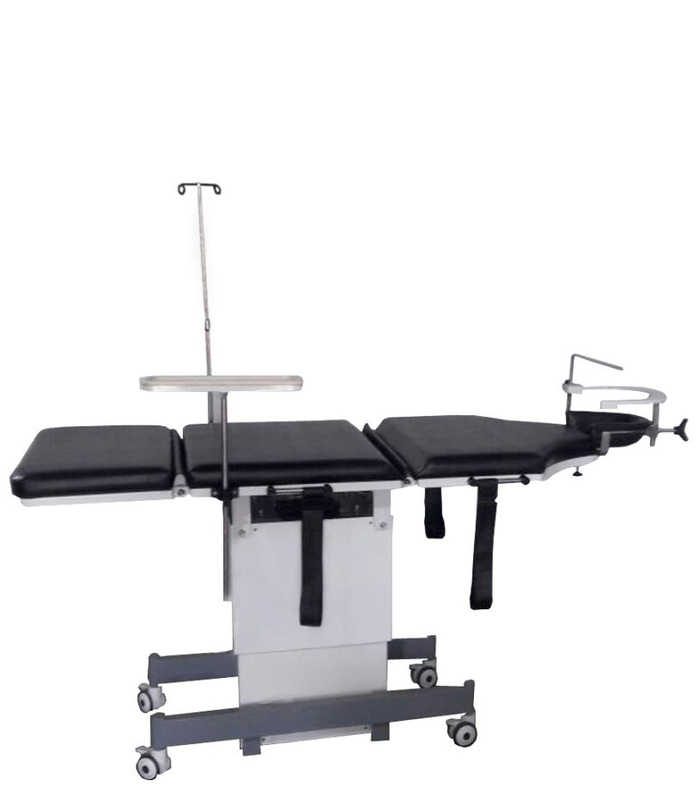 Two individual motors for leg rest & back rest movement controlled separately. Each unit is packed on a pallet, 47"x29"x40" containing two boxes, where Gross weight of the packing is 127kgs, Net weight is 112kgs, and it is Export packing.